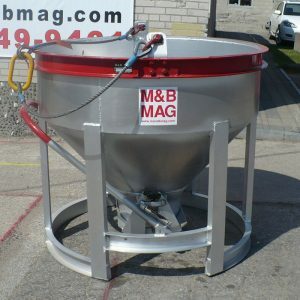 At M&B MAG we are dedicated to manufacturing durable, efficient, competitively priced buckets and hoppers for hoisting and placing materials including concrete and aggregate. 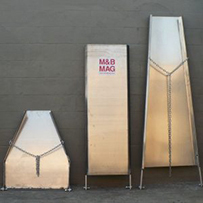 We offer aluminum and steel buckets as well as wide range of concrete placing accessories. 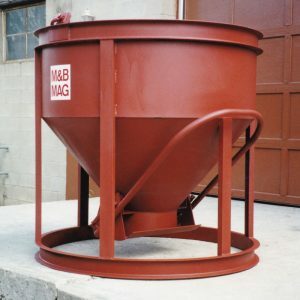 All M&B MAG concrete buckets and concrete placing accessories are designed in accordance with ASME BTH-1 “Design of Below-the-Hook Lifting Devices” and meet or exceed the requirements of the above mentioned standard. 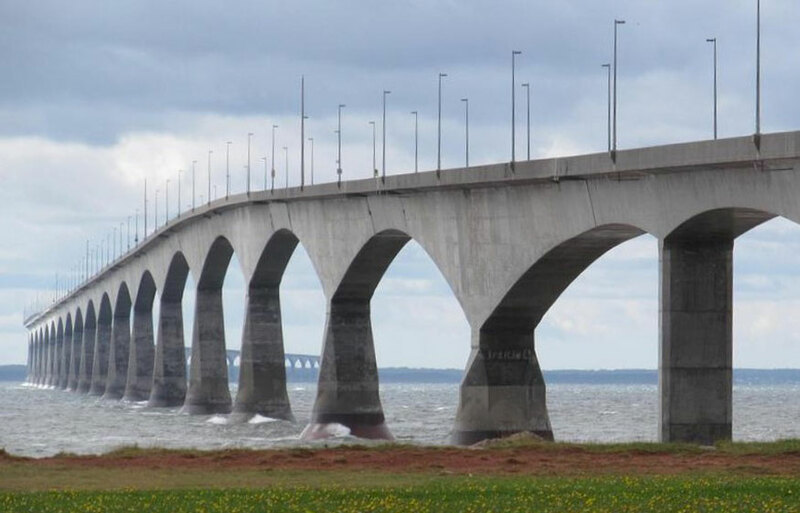 Confederation Bridge, Prince Edward Island. Atomic energy plants in the U.S.A. Many of Canada’s high-rise buildings. High-rise buildings in Saudi Arabia. 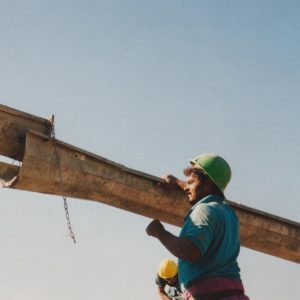 Hydro-electric projects in Pakistan and Venezuela, Columbia and Spain. 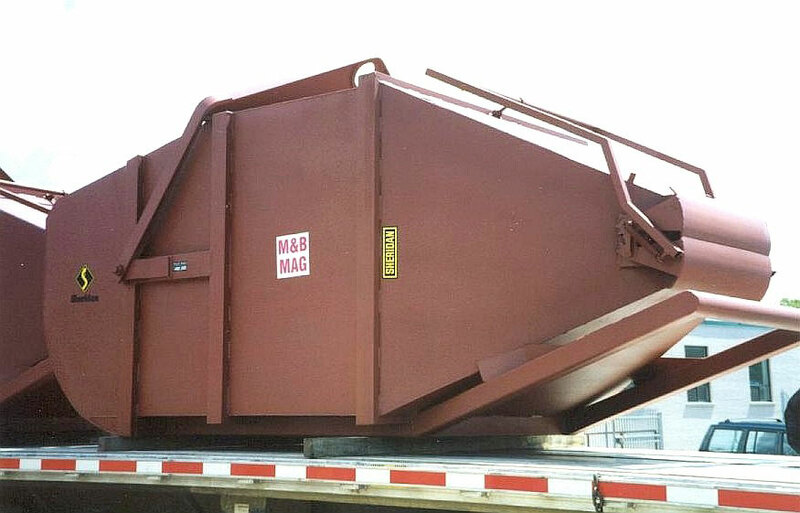 M&B MAG concrete buckets (model LDS-55 – on the picture below) were used on the 12.9 km long Prince Edward Island Confederation Bridge — the largest order in the history of North America for concrete buckets!